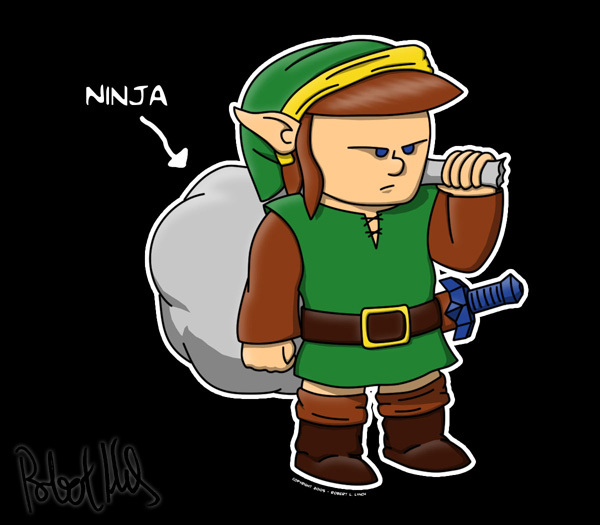 Link (from the Legend of Zelda) holding a bag with a ninja in it. This is from a scene in my comic, Heroes Inc. I originally made this to be put on a t-shirt, but it got kicked off Cafepress. They don’t like fanart.